Egypt parliament summons ministers: Protecting the poorest? 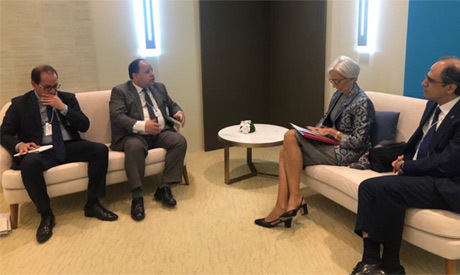 In a meeting with Egypt's Finance Minister Mohamed Maait on the sidelines of the fourth annual forum of the Arab Monetary Fund in Dubai, Lagarde added the government's reforms have placed the economy on the right track and protected the country from a risky and gloomy future. On Tuesday, Egypt received the fifth tranche of the IMF’s $12 billion loan following the IMF’s executive board approval of its fourth review of Egypt's economic reform programme.